WHETHER YOU LOOK EAST from the white sands of the Tularosa Basin or west from the high plains of Roswell and Artesia, south-central New Mexico’s soaring, pine-studded mountains cut a majestic—and formidable—profile. This is southern New Mexico’s high-country playground, a crisp-aired, snowy wonderland from late fall through early spring, and a cool, emerald oasis of mountain streams and lush pastures in summer. From the Texas state line, the Sacramento Mountains stretch some 85 miles north, encompassing the picturesque alpine village of Cloudcroft. Established as a vacation getaway and logging town in the late 1890s by the developers of the El Paso and Northeastern Railroad, tiny Cloudcroft (pop. 688) sits in the heart of the Sacramento Mountains at nearly 8,700 feet above sea level. 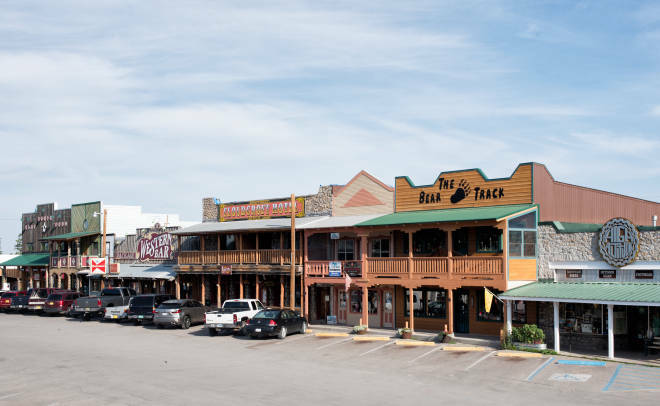 The railroad chugged away in the late 1940s, but this easygoing village, with its unpretentious Western vibe, continues to draw tourists from all around the country. In Cloudcroft’s compact downtown, you’ll find a handful of lively shops, bars, and cafés amid the Old West storefronts along Burro Avenue. Be sure to drop by the local outpost of Ruidoso’s acclaimed Noisy Water Winery to sample local dry and sweet wines, from full-bodied Bordeaux blends to a red-chile-infused chocolate wine. At the nearby Sacramento Mountains Museum & Pioneer Village, restored buildings—including a chapel, general store, and log cabin—and a museum filled with artifacts and vintage photos document the town’s rugged history. Though tiny, the community also supports a couple of noteworthy performing arts groups. The Cloudcroft Light Opera Company stages musical comedies, children’s productions, and other family-friendly fare throughout the year; the Shady Pines Chamber Players present intimate concerts, primarily in summer and often at the delightfully lush and peaceful Shady Pines garden and cabin, a wonderland of alpine flowers and plants (see “Branch Manager”). In winter, you can also take to the slopes of Ski Cloudcroft, where three lifts serve 25 trails and a tubing park. Outdoorsy types are drawn to the town’s fresh piney air and rolling terrain. A favorite spot for hiking and picnicking is the Trestle Recreation Area. 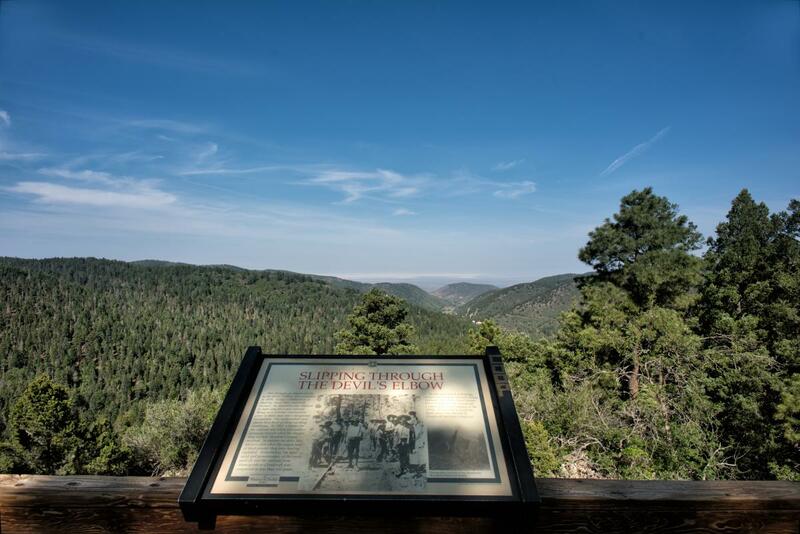 Visitors can see the restored 323-foot-long Mexican Canyon Trestle, built in 1899 for the Alamogordo and Sacramento Mountain Railway, and enjoy spectacular panoramas of the Tularosa Basin from several different overlooks. Beginning and experienced hikers appreciate the Osha Trail loop, where you may just spy grazing elk and you’re assured a dazzling sunset view. The relatively level walk begins near downtown on US 82 and meanders north in a 2.2-mile loop. For a rigorous but rewarding hike from the high desert up into the Sacramento Mountains, drive south from nearby Alamogordo and tackle the Dog Canyon Trail, which starts at Oliver Lee Memorial State Park. The views are astounding from this steep climb. It’s an 11-mile out-and-back trip, but if you have two cars, you could park one at the state park and another at the top, on Forest Road 90B, and hike it one way. After working up a good appetite, head to High Rolls on US 82, west of Cloudcroft. Cadwallader Mountain Farms and Orchard invites you to gather U-pick baskets of cherries, peaches, and apples, depending on the season. At the neighboring Old Apple Barn, you can snack on house-made fudge and fruit pies and sip cherry-infused pink lemonade or an old-fashioned root beer float. Photo: The new Cloudcroft Brewing Company has wood-fired pizzas and tasty brews. At refined Rebecca’s, in Cloudcroft’s historic Lodge Resort & Spa, listen to jazz from the grand piano while savoring such creatively prepared delicacies as baked escargots with a roasted-green-chile-and-garlic sauce, and grilled ruby-red trout crusted with locally grown pistachios. Top off your meal with one of the famous tableside-flambéed desserts, such as bananas Foster or cherries jubilee. Burro Street Bakery has earned a devoted following for its tangy-sweet peach pie and prodigious cinnamon rolls, plus a nice selection of espresso drinks. Grab one of its green chile breakfast burritos before heading out for a hike or skiing in the morning. Authentic Texas-style chopped brisket, smoked jalapeño sausage, and (on weekends only) Angus beef ribs take center stage at Mad Jack’s Mountaintop Barbecue, along with generous sides of mac and cheese and potato salad, plus fruit cobblers for dessert. 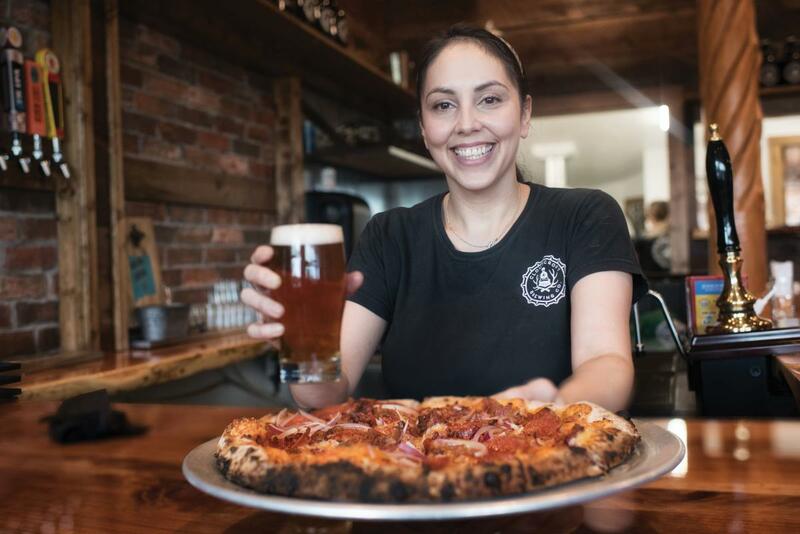 Fans of craft ales should check out Cloudcroft Brewing Company, a convivial new enterprise that doles out house-brewed and other New Mexico beers, plus tasty wood-fired pizzas—try one with green chile, chorizo, and sharp cheddar. On warm days, enjoy a seat at one of the picnic tables on the back patio, where local bands sometimes play. It’s worth the 30-minute drive through the remote foothills just east of Alamogordo to dine at Nuckleweed Place. Don’t let the modest setting, a charmingly furnished single-wide trailer, fool you—chef-owner Sharon Haymes prepares exquisite meals, including decadent stuffed French toast with fresh-fruit compote and heavenly biscuits and gravy with country ham for breakfast. In the evenings, consider the crowned tenderloin with sautéed shrimp and béarnaise sauce or classic beef Wellington. Photo: Do as Pancho Villa did. 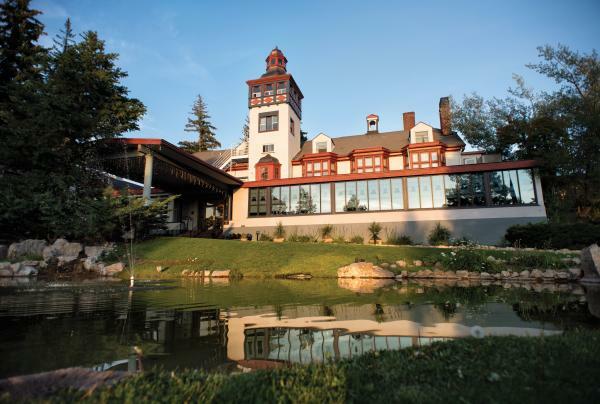 Stay at Cloudcroft&apos;s regal, 119-year-old (and possibly haunted) Lodge Resort & Spa. One of New Mexico’s iconic grand—and allegedly haunted—hotels, the brightly painted Lodge Resort & Spa, in Cloudcroft, sits regally atop a bluff on the fringes of town, where it has hosted actors Clark Gable and Judy Garland, plus the notorious Pancho Villa. Decor and artwork reflect the building’s illustrious 118-year history, and new owners—who also operate the historic Paisano, Limpia, and El Capitan hotels in West Texas—plan to upgrade the pool, hot tub, and in-room amenities. Diversions include an undulating nine-hole golf course, which dates to 1899, with some of the highest-elevation greens in the world, and the Spirit of the Mountain Spa, offering mud-herbal wraps and hot basalt-stone massages. The excellent gift shop carries New Mexico books, plus house-made salsas and preserves, regionally made jewelry, framed historical photos, and other artwork and crafts. A rustic and homey timber-frame B&B nestled in the pines and within walking distance of several restaurants, the cozy Crofting Inn has six eclectically furnished rooms, each with a private balcony. The reasonable rates include a country breakfast that might feature fresh-baked pumpkin bread, quiche, turkey sausage, and fresh fruit. Travel writer and former New Mexico resident Andrew Collins visits the state several times a year, road-tripping from corner to corner, through small towns and rugged wilderness, in search of scenic hikes, local beer, and colorful stories.